First grade used different brush stokes to create this winter landscape. 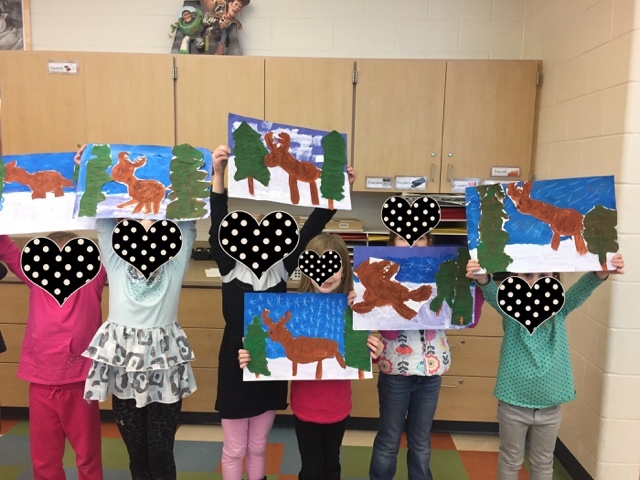 The painted the moose and trees seperately which gave them an opportunity to practice their cutting skills. Lesson was found on Deep Space Sparkle.